One sunny afternoon I felt compelled to go for a walk down to the river. I arrived at a spot between two mill buildings where two massive concrete pipes channeled city drain water into the river. This is where the currents met. In the island of silt and sand that had formed beyond them was a very old apple tree. I felt a powerful presence from it that intensified as I approached it. The tree had grown into a hand shape, as apple trees often do in their quest for sunlight. It formed a sort of seat, and supported other life, moss covered much of its bark and mushrooms grew from its dead limbs, while birds rested upon it. I later returned with friends to share the experience with them. One of them discovered that at the heart of the trunk was a sort of knot that had formed around a large piece of Quartz. This struck me as rather remarkable given some of the energetic properties attributed to quartz, in addition to the fact the tree was growing in the midst of the municipal runoff. It was enduring and absorbing the poisons flowing from the city, yet simultaneously I experienced an intense healing energy radiating from it. I've always admired the way these trees spread their branches, and enjoyed the fruit they yield, making this dendronic encounter all the more spiritual. essays-shark.net is a professional custom paper writing agency offering a wide range of efficient writing services. If you desire to get an exclusive piece of work without paying a big sum of money for it, this is the best company to contact. This tree is really looks very great! I want to see this tree very much! And I am a student. Sometimes I cannot cope with my tasks, so i use the help of essay writing service - http://best-essays-writers.com/. That is definitely an amazing place to spend the time. I would like to be in your shoes someday and enjoy thinking about my life there. Meanwhile I am able to enjoy the free time given by the essay writers from http://www.best-essays-writers.org. They help me much! You have not to wait any more as here is the best place ever found which are letting to get the roblox free robux which are capable in letting you to play roblox much comfortably and much simpler than imagination.You will enjoy a lot in playing this game. Their are set of water falls. 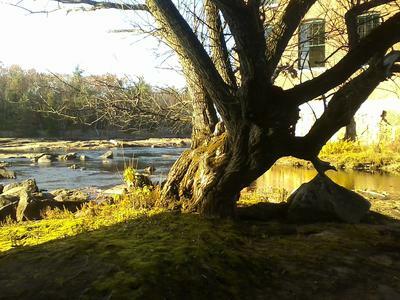 I think this place is in Manchester, New Hampshire on the Merrimack River. Very beautiful place.